Junction Interstate 195 shield posted along Maine 5 (Ocean Park Road) westbound. 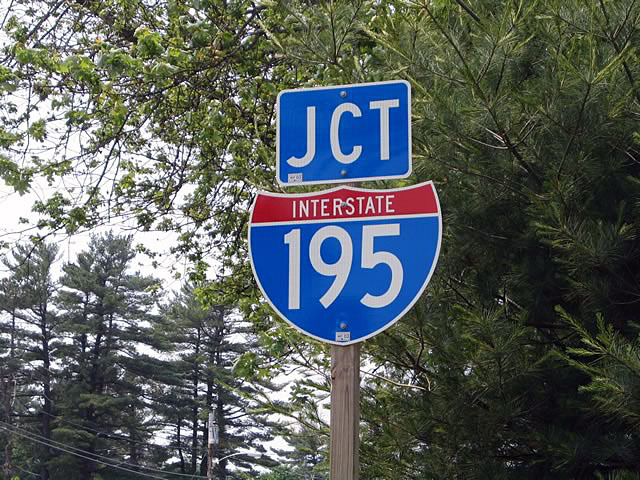 All Interstate 195 shields are neutered as of 2005. Photo by Alex Nitzman & Carter Buchanan, 6/27/2005.